Yesterday my family and I popped out to Dundee so I could pick up my last few presents- surprisingly the shops weren't too hectic. We also met one of my mums friends for lunch at the Dundee Contemporary Arts bar. My BBQ pulled pork brioche was AMAZING!! It was however pouring and I got soaked just walking to the shops so straightening my hair was pointless. 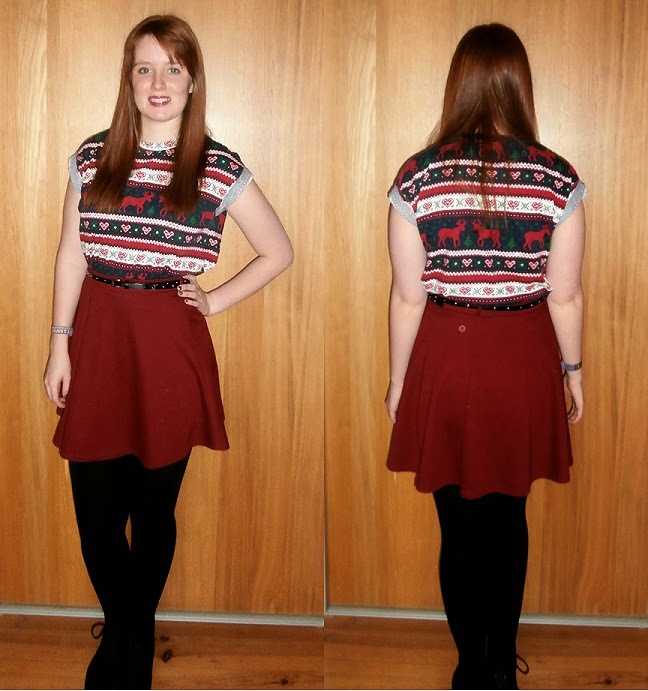 Since it was Christmas eve eve I decided to wear my lovely t-shirt from primark and knew the red in the top would match the skirt perfectly. I love red all year but during December it feels especially festive. 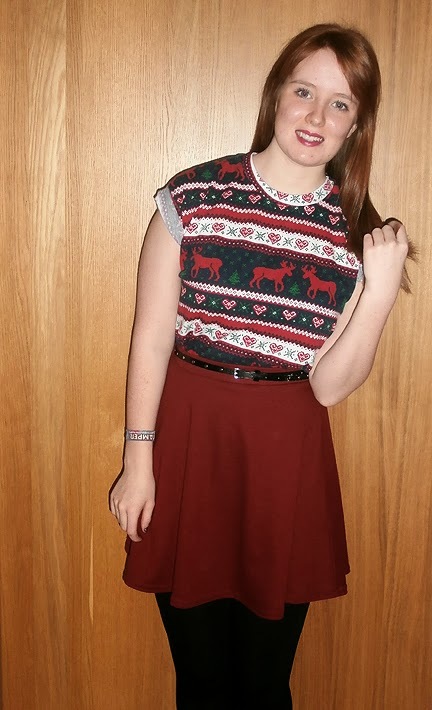 In hindsight I should of worn some Christmas accessories but I really am bad at that. 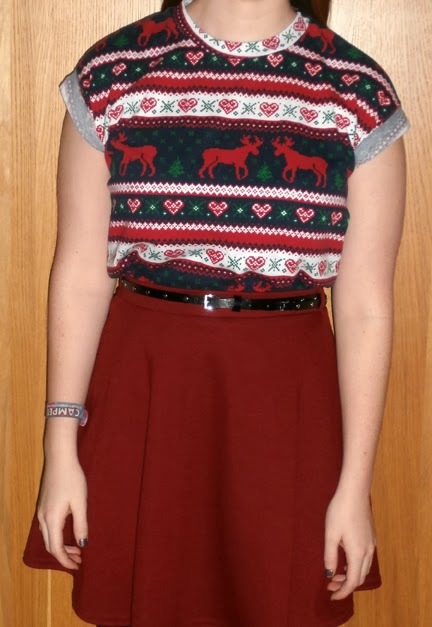 The top is really cute though- shame I can't wear it all year. Decided to keep this post simple because I'm sure everyone is rushed off their feet. I'm away to make some crackers so I hope you all have a very merry Christmas! !